A concealer or color corrector is a type of cosmetic that is used to mask dark circles, age spots, large pores, and other small blemishes visible on the skin. It is similar to foundation, but thicker and used to hide different pigments by blending the imperfection into the surrounding skin tone. Both concealer and foundation are typically used to make skin appear more uniform in color. These two types of cosmetics differ in that concealers tend to be more heavily pigmented, though concealer and foundation are both available in a wide range of opacity. Concealer can be used alone or with foundation. It comes in different forms from liquid to powder. The first commercially available concealer was Max Factor's Erace, launched in 1954. Camouflage makeup is a much heavier pigmented form of concealer. It is used to cover serious skin discolorations such as birthmarks, scars and vitiligo. Concealer is available in a variety of shades. When picking a concealer, people tend to choose one or two shades lighter than their skin tone to better hide their blemishes and dark circles under the eye. Some colors are intended to look like a natural skin tone, while others are meant to cancel out the color of a particular type of blemish. Concealers with yellow undertones are used to hide dark circles. Green and blue can counteract red patches on the skin, such as those caused by pimples, broken veins, or rosacea. A purple-tinted concealer can make sallow complexions look brighter. When it comes to using concealer there are a variety of different products for different uses. Concealer can work to hide blemishes, mask dark circles, highlight and color correct. When using a concealer to hide acne you want to make sure to buy a concealer of your skin tone that is thick and rich in pigment. These types of concealers usually contain anti-acne ingredients so as they help cover they also heal the skin. This concealer is very heavy so it is best if used only to "spot" conceal or else you're makeup will end up cakey. The best concealers for this are the NARS Radiant Creamy Concealer, Laura Mercier Secret Camouflage Concealer, Maybelline FIT ME! Concealer, and MAKE UP FOR EVER Ultra HD Concealer . These concealers work best for this step because they are creamy and will blend over the blemish evenly. Recently using concealer to highlight has become a very popular makeup technique. Using a concealer that is one to two shades lighter than your skin tone you draw a V under you're eye cover all the shadow. After blending out it will attract more light to that area giving the appearance of no under eyes. This technique canals be used on other areas of the face in which you want to bring more light. Concealers also work for contouring if you use a concealer that is two shades darker. By putting it in the hollows of your cheeks and the outer perimeter of your face you can add dimension. In this diagram you can see the white is where you are supposed to highlight and the black is where the contour should be applied. Color correcting involves using concealers in peach, green, and purple tones to cancel out certain areas of discoloration. Each color cancels out a certain color or dullness. Green is used when you want to cancel out redness. Peach is used to cancel out blue dark circles and lastly purple will cancel out any yellow spots. When using this technique it is important to note that this should be done before foundation and only in thin layers. If applied too heavily it can peek through foundation. Depending on your skin type certain concealers work best on your skin. Concealer can come in liquid, cream or stick form. Liquid concealer is the most popular because it works for most every skin type. This concealer also works well for acne spots because it will not bunch up around the acne or settle into the scars. The concealer does have to be set with powder or else it will crease into the fine lines of your skin. Liquid concealers can also have buildable coverage in different finishes to suit every need. Stick concealer is used for very specific purposes because it is thicker than liquid and contains a lot of coverage. This type of concealer is also very convenient because of the packaging and its ability to be used for touchups. This concealer works bets on blemishes and small areas of discoloration. Formulas that are very creamy, blend easily into the skin allowing for flawless touchups through the day. This type of concealer is similar to the stick concealer because it offers heavy coverage. However, you need to apply it with a brush because it can look heavy due to the intense pigmentation. This type of concealer is rarely used, especially to conceal. It can be used to cover up small blemishes but it isn't the most effective. However, this type of concealer works great for cleaning uproar eyebrow shape or lining your water line grinner corner for brightness to the eyes. These are thought by some to be the best concealers out now. ^ Baston, Fred (2012). Max Factor: The Man Who Changed the Faces of the World. Skyhorse Publishing Inc. ISBN 9781611451351. ^ a b Krause, Rachel (2015-06-19). "4 Confusing Types of Concealer, Demystified". StyleCaster. Retrieved 2019-03-27. ^ "The Best Blemish Covering Concealers". InStyle.com. Retrieved 2019-03-27. ^ Nast, Condé. 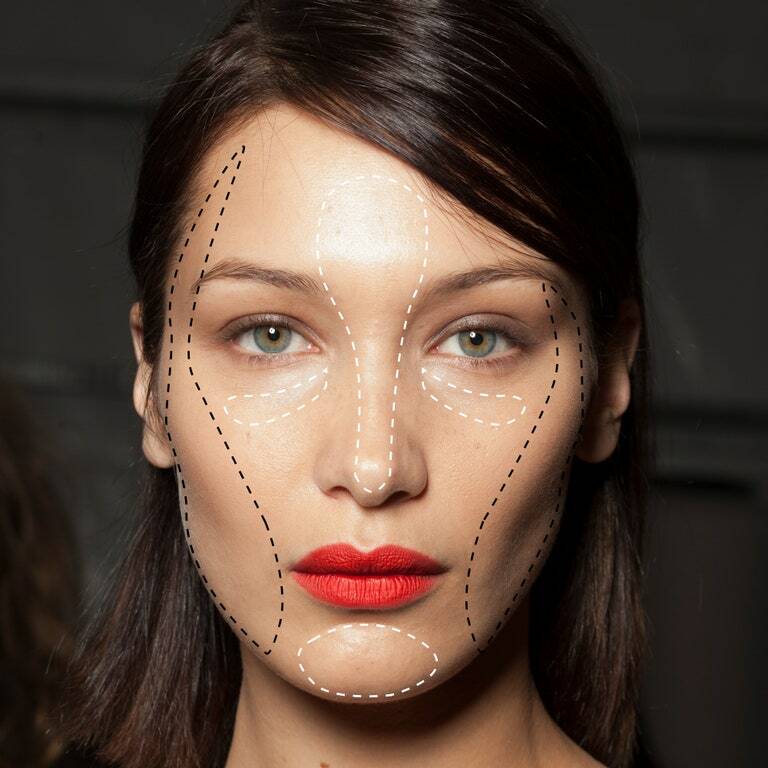 "Why You Should Start Using Concealer to Contour Your Face". Allure. Retrieved 2019-03-27. ^ a b "How to Apply Color Correcting Concealer". MYSA. 2016-06-08. Retrieved 2019-03-27. ^ a b Mantjiu, Grace (2016-08-30). "How to choose (& use) the best concealers for different skin types". Essentials. Retrieved 2019-03-27. ^ a b c "Different Types Of Concealers And Their Uses | The Brunette Diaries". www.thebrunettediaries.com. Retrieved 2019-03-30. ^ "Concealers | Cosmetics Info". cosmeticsinfo.org. Retrieved 2019-03-30. This page was last edited on 31 March 2019, at 22:03 (UTC).